French national law Archives - Page 2 of 2 - Patent my French! Little by little, everything seems to finally come into place for the kick off of the UPC – pending the outcome of the constitutional complaint in Germany. A major step has now been taken in France, with a modification of the Code de la propriété intellectuelle (CPI) to make national law ready for the UPC, by way of an executive order dated May 9. And one of the most important amendments thus introduced… well in fact has little do with the UPC, and everything to do with this very French debate on the statute of limitations applicable to patent nullity actions. Indeed, a new article L. 615-8-1 is introduced, per which the statute of imitations is simply not applicable to patent nullity actions. So, back to the situation that everyone took for granted ten years ago, and back into line with the practice of other European countries. Very good news indeed. But, there is a but, or actually two. First, this new provision will only come into force when the UPC agreement comes into force – since the overall purpose of the order is the application of the UPC agreement. Second, the new provision will not be applicable to nullity actions which are already time-barred at the time the provision comes into force. So you can still expect a lot of discussion for a few more years on how the statute of limitations should be applied and how the limitation period should be computed, before this really becomes history. Waiting for the entry into force. Now, back to the other, truly UPC-related provisions. One important aspect is how double protection by a French patent and a European patent for the same invention is handled. 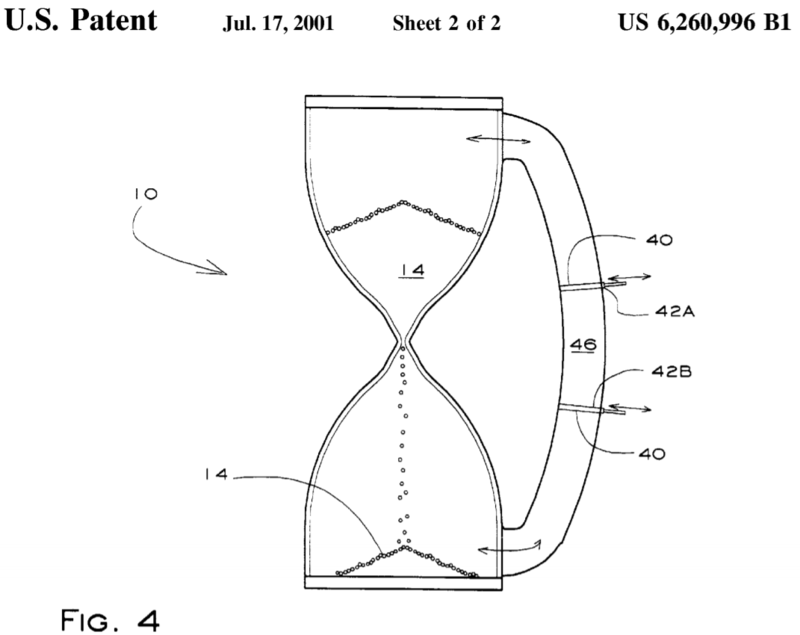 The current situation is that, when a French patent and a European patent granted to the same inventor or successor in title cover the same invention and have the same priority date, the French patent ceases to be in force at the expiry of the 9-month European opposition period (if no opposition is filed) or when the opposition proceedings are closed, the patent being “maintained” (either in amended form or as granted). Under the new version of article L 614-13 CPI, this remains the case, but only for European patents that have been opted out from the exclusive competence of the UPC (under article 83 of the Agreement). For non-opted out European patents (including of course unitary patents) on the contrary, there will no longer be any such so-called substitution. Thus, applicants will be able to secure both a national patent, enforceable in front of our national courts, and a European patent enforceable in front of the UPC, for the same invention. This is of course primarily of interest for French applicants who do their first filings at the INPI and then file at the EPO. But of course foreign applicants could also use this tool, for super-important inventions, by filing at the EPO and then in France, or simultaneously at the EPO and in France. Now, what happens if a European patent is opted out at a late stage, for instance after the 9-month opposition period? The answer provided in the new law is that double protection then ends at the time of the opt out, i.e. the French patent ceases to be in force on the date of the opt out. By the way, any substitution is irreversible. If a European patent is invalidated or lapses or if the opt out is withdrawn after a substitution has taken place, the corresponding French patent does not come back to life. Another amendment relates to the prohibition to transfer, or to grant rights on, a French patent or application independently from a European patent or application, for the same invention, having the same priority date, and filed by the same inventor or successor in title. This prohibition remains in place for all non-opted out European patents (including unitary patents), as well as opted out European patents (before the substitution takes place). In addition, the recordal of a transfer at the French national patent register is only effective if a parallel recordal has taken place at the European national patent register. Next topic, a particular procedural rule in connection with patent litigation. Currently, if a French patent is asserted and there is a corresponding European patent or application, the court stays the proceedings as of right until the substitution takes place, or until the European patent or application disappears (by way of a withdrawal, refusal, revocation, etc.) before any substitution takes place. This rule will remain in place but solely for opted out European patents. When a non-opted out European patent / application is present, an action based on the French patent will be able to proceed independently of the fate of the European patent / application. It remains to be seen how this will play out in practice. The court will still have the possibility to order a stay anyway, under the general rules of civil procedure, if they deem that a stay is appropriate for a good administration of justice. On a few other aspects, French law has been harmonized with the UPC Agreement. This is especially the case regarding the wording used to define the acts of infringement and exhaustion of rights. Besides, non-exclusive licensees will now be allowed to assert a patent if this is expressly authorized by the license agreement, and provided that the patent proprietor is given prior notice. This is a new possibility under French law, which mirrors article 47(3) of the UPC Agreement. The limitation period for infringement damages remains five years but the starting point will now be the date on which the applicant became aware, or had reasonable grounds to become aware, of the last fact justifying the action, in keeping with article 72 of the Agreement. In the current version of article L. 615-8 CPI, the starting point is “the facts” on which the action is based. The effect of this significant modification will be twofold: right holders will in some cases be able to claim more damages; and more complex debates regarding the determination of the starting point of the limitation period can be expected, as the new definition is more fuzzy than the traditional one. Last but not least, new article L. 615-18 CPI clarifies that the UPC shall have exclusive jurisdiction over unitary patents and non-opted out traditional European patents. So, now that the rules of the game are known, all readers can start looking for potential loopholes or ambiguities, and imagining unusual scenarios. Isn’t this what new laws are primarily for? Last August, while most of the patent profession was enjoying well-earned holidays, the Code de la propriété intellectuelle (CPI) was amended in a way that may significantly alter the fate of patents on biological materials. 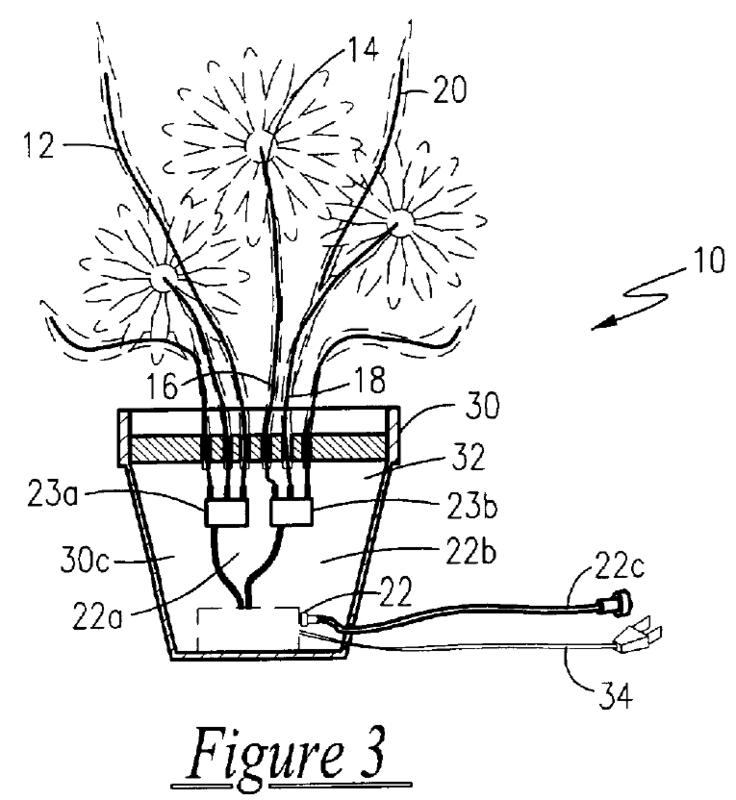 So much so that my colleague Lionel Vial wonders whether France may become a safe haven for copies of patented plants. Here are his thoughts on the subject. The so-called law for the recovery of biodiversity, nature and landscape dated August 8, 2016, which entered into force on August 9, 2016, has introduced two amendments into the Code de la propriété intellectuelle (CPI). 4° Processes for modifying the genetic identity of animals which are likely to cause them suffering without substantial medical benefit to man or animal, as well as animals resulting from such processes. II – Notwithstanding the provisions of (I), inventions which concern plants or animals shall be patentable if the technical feasibility of the invention is not confined to a particular plant or animal variety. III – The provisions of I (3°) shall be without prejudice to the patentability of inventions which concern a technical process, in particular a microbiological one, or a product obtained by means of such a process; any process involving or resulting in or performed upon a microbiological material shall be regarded as a microbiological process. According to parliamentary discussions during the lawmaking process, this amendment was essentially triggered by decisions G 2/12 (Tomatoes II) and G 2/13 (Broccoli II) of the Enlarged board of appeal of the EPO. As a reminder, these two decisions provided that the exclusion of essentially biological processes for the production of plants from patentability in article 53(b) EPC does not extend to product claims directed to plants or plant materials such as plant parts. The idea was also to push for a modification of European Union law, in particular of Directive 98/44/EC, after similar amendments were made in German and Dutch national laws (see Patentabilty of Plants in epi information 4/15:156-168). However, the French version of this new exclusion from patentability is broader than a prohibition of patents on products exclusively obtained by essentially biological processes, like in Germany and the Netherlands. Indeed, the exclusion also encompasses elements constituting these products and the genetic information they contain. According to statements made by members of parliament promoting this amendment, the aim was to further prevent native traits of plants from being patented. Biological material which is isolated from its natural environment may be the subject of an invention even if it previously occurred in nature. The impact of the amendment of article L. 611-19 CPI should nevertheless be relatively limited, as it applies only to French patents. Besides, the INPI (French patent and trademark office) had already decided, before the entry into force of the new law, that it would not apply G 2/12 and G 2/13 and that it would refuse to grant French patents pertaining to biological material obtained by essentially biological processes. The protection conferred by a patent on a biological material having specific characteristics as a result of the invention shall extend to any biological material derived from that biological material through propagation or multiplication and having the same characteristics. The protection conferred by a patent on a process for producing a biological material having specific characteristics as a result of the invention shall extend to biological material directly obtained through that process and to any other biological material, derived therefrom, by reproduction or multiplication and having the same characteristics. The protection conferred by a patent relating to a biological material having specific characteristics as a result of the invention does not extend to biological materials having these specific characteristics, obtained independently from the patented biological material and by an essentially biological process, nor to biological materials obtained therefrom, by reproduction or multiplication. Our readers may have difficulties determining the exact scope of this exclusion from patent protection. If so, we would be inclined to think that this is not entirely due to the translation, as the French text itself is quite cryptic. Let’s try to get things straight. The aim of this amendment is mainly to prevent seed makers who use essentially biological processes to generate genetic diversity when producing new seeds from being prohibited to use or sell the new seeds thus obtained because of existing patent rights. An enlightening example for understanding the motives of the lawmakers in this regard relates to the aphid-resistant lettuce case which was referred to by several members of parliament during the debates. In this case, the French seed maker Gautier Semences, a family business, was allegedly forced into a license agreement with Rijk Zwaan in respect of European patent EP 0921720, to be able to continue to market the aphid-resistant lettuce seeds it had been selling before the patent was filed. Lettuce plants of the species Latuca sativa L. which are resistant to the aphid Nasonovia ribisnigri due to presence in the genome of the Nr resistance gene, characterized in that the genetic information responsible for the CRA phenotype is absent from the genome of the plant at least to such an extent that in the presence of the Nr gene in homozygous condition the CRA phenotype is not expressed. But how on earth could this patent be enforced against Gautier Semences, as they should benefit from prior user rights? In addition, shouldn’t there be a serious novelty issue in view of the seeds marketed by Gautier Semences? The response is that in theory Gautier Semences should indeed have been immunized against the effects of Rijk Zwaan’s patent. However, evidence of prior user rights or of public prior use may be difficult to provide, especially for an SME. The new provision should therefore facilitate the defense of those marketing biological materials covered by a patent, when the materials were obtained by an essentially biological process. However, it will probably still be necessary for those wishing to take advantage of this provision to prove the latter fact. Besides, it should be noted that the new provision goes beyond simply addressing situations such as the above aphid-resistant lettuce case, as it applies to any biological material obtained by an essentially biological process, irrespective of whether it was obtained before or after the patent was filed. Now that we have a better view of the aim of the new provision, let’s examine two interesting consequences. The first one is in relation to the meaning of the expression “essentially biological processes”. At least we can tell that this plant material was not obtained by an essentially biological process. This expression is not defined as such in the rest of the statute. Reference is made to “essentially biological processes for the production of plants and animals” in Article L. 611-19 3° CPI. The same article also provides that “processes that exclusively consist of natural phenomena such as crossing or selection shall be regarded as [biological processes]”. Accordingly, it is possible that the expression “essentially biological processes” in Article L. 631-2-3 CPI could be construed as not being limited to processes exclusively consisting of natural phenomena such as crossing or selection. The protection defined in the first paragraph of the present article does not extend to the biological materials exclusively obtained by the essentially processes defined in the third paragraph of part I of article L. 611-19 CPI. The result of this last minute amendment, the justification of which was to protect the French seed industry, was to cancel any explicit reference to a process that exclusively consists of natural phenomena such as crossing or selection being regarded as a biological process. A consequence could therefore be that plants obtained by a process involving, among steps of a biological nature such as crossing or selection, a step of random mutagenesis, and having properties similar to a plant covered by a patent, could be considered as being obtained by an essentially biological process and would thus be excluded from patent protection. It will be interesting to see how case law will develop in this regard, especially in view of new mutagenesis techniques, such as the superstar CRISPR/Cas9 technique for which Monsanto has just secured a non-exclusive license. Another consequence of this last minute amendment, which might be seen as a huge side effect, is that the exclusion from patent protection set by the new provision in article L. 613-2-3 CPI is not confined to plants and animals but now encompasses all biological materials and potentially microorganisms. Again, it remains to be seen how patents pertaining to isolated microorganisms endowed having specific characteristics, e.g. food transformation or health properties, will be enforced against microorganisms having these characteristics but which were isolated independently from the patented microorganisms. Many thanks, Lionel. Struggling to figure out what a new legal provision exactly means, and guessing about unintended fallout are probably the perks of every single patent law reform. Conformity of the new provisions to the biotech directive 98/44/EC could also be an interesting and tricky question. All the more so that the European Commission released a notice which was published in the Official Journal of the European Union a few days ago. The Commission takes the view that the EU legislator’s intention when adopting Directive 98/44/EC was to exclude from patentability products (plants/animals and plant/animal parts) that are obtained by means of essentially biological processes. The Commission’s view is thus contrary to the position taken by the Enlarged Board of Appeal and on the face of it consistent with at least part of the recent amendment of French law. Clearly, patentability of biological materials in Europe is on moving grounds right now. I would not be surprised if there were more episodes of a tomato, brocoli or lettuce saga coming up in the near future.